Thinking of a name for your baby? We round up some of the ones predicted to be a hit this year. Traditional Filipino, a touch of Spanish, catchy American, biblical or taken from a movie, baby names differ from generation to generation. Filipinos are known to have strong family ties, thus naming babies after their parents and grandparents is still very popular. This is true with Vanessa Salosagcol, mommy of 1 and with a second on the way. "We would like to remember our departed loved ones by naming our kids after them. This way, they would be remembered for another lifetime through the child.” But rather than naming the kids after Lolo and Lola, most parents-to-be opt to use their parents’ initials, combining their names or spelling them differently. Being a Christian country, a biblical touch to the baby's name is inescapable. This commonly results to having two first names, e.g., Arkin Miguel or Anaiah Gabrielle. Choosing a patron saint can give the name a Spanish tone, too. For mom Beatrisa Martinez, a Spanish name sounds noble and manly. She named her son Emilio Jose and is also considering "Rodrigo Luis" if she ever has another one. 33-year-old Buena Rio Ocampo-Vecino, who is due to give birth in February, will name her baby Anton Gerard. 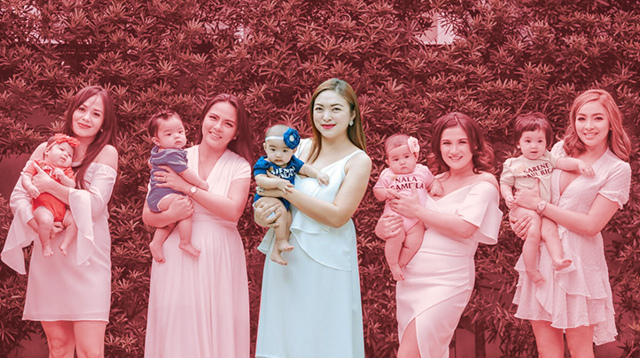 Because of this, names like Antonio, Miguel and Matteo for boys and graceful girl names such as Isabella, Francesca and Clara will still remain in the Filipino baby book for years to come. Though the basis upon which Filipino parents choose names for their children remains the same, new twists are expected to come up in 2012: movie characters (Lycan from Underworld, Meyer for Twilight), European names (Mekhi, German for Michael and Jean for John), even car models (Porscha, Cayenne) may not be new but are seen to emerge. Anime characters (such as Lorcan), video game heroes (like Cloud), and names that depict the child’s birth order (Threecia for the 3rd grand child and Uno for the firstborn) and other unique, outlandish names that are easy to pronounce but hard to spell. Shirley Bairon, a 33-year-old engineer whose baby will be christened this year, sees this as a fad. "Tongue-twisting names with bizarre spellings might continue to be a trend."